Information on different type of Electric Oil Diffuser and things you should know about it. There are various ways in enjoying the benefit of aromatherapy scents. One great way of doing this is the use of an Electric Oil Diffuser. The use of this product will enhance the experience by diffusing the scent into the household. You have the choice to either use it to scent your home or just inhale the odor you prefer. The inhalation of the aroma will help relieve certain conditions especially the like of sinusitis, colds, coughs, asthma and other respiratory related conditions. An Electric Oil Diffuser can be used in different ways, so no matter what your preferences is, there should be something that you could truly benefit from by using aromatherapy essential oils. Some of these operate on batteries while others are running on an electric fan. Some other types of Electric Oil Diffusers use steam. And there is also a more compact version of this that you can take along with you on your travels. How to use Aromatherapy Electric Oil Diffuser? An electric oil diffuser would normally have a tray where you can place a cotton pad. The pad may be soaked with essential oil of your choice (about 15-20 drops) and then it be placed in the tray and must be closed shut afterwards. Then the electric diffuser may now be plugged and in 10 seconds the diffuser will blow air to the pad and then take the air out of the diffuser after that. Then the scent is circulated. The cotton pad in the diffuser will need to be wetted with the oils every couple of hours in order to maintain the concentration of the smell. Actually, while you are enjoying the aroma coming from the electric oil diffuser, you will observe that in 30 minutes or so, the smell will no longer be noticeable. It's better to take a break, may be about five minutes and walk outside for a couple of deep breaths . In this way, you will be able to enjoy the fragrance again once you reenter the home. Electric oil diffuser is also cost efficient since it needs only a few drops. Other diffusers consume much more oil, which can end up becoming an expensive interest for those who love to be surrounded by aromas all the time. Due to the wide spread use of aromatherapy the applicators used to implore these desirable oils comes in all shapes, sizes and of course cost. There are diffuser types that may continuously emit the scent or there are those that can be set with timer. Ideal choice for those working with sleep inducing oils. 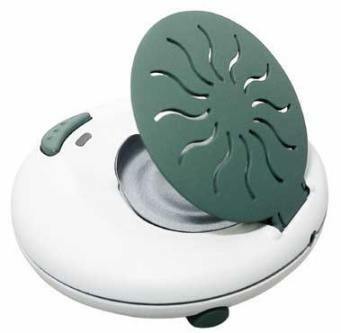 Spa scenter Essential oil diffuser is very easy to use. Open a drawer in the base and apply 10 to 20 drops of blend or oils of your choice. Then turn on the Spa Scenter to activate the air circulation. The Spa Scenter allows you to adjust the strength of the diffuser with a simple turn of a button and it can easily be changed for different essential oils. This essential oil diffuser is a great way to enjoy the benefits of aromatherapy. Use it as room freshener or for emotional problems only. This oil diffuser is not recommended for therapeutic benefit. The Spa Scenter is the quietest diffuser I've ever experienced. Because of it's silence, so it is very ideal to use in the bedroom. Try lavender and Chamomile essential oils to go with it. With no fragile glass parts, this might be the perfect diffuser for the nursery or sickroom. Scent ball aromatherapy diffusers are very ideal for traveling. Not because of their pocket-sized appearance, but because they are very easy to use. Just add a few drops of your favorite essential oils to the pad, snap the pad into the holder and plug in. With its portability you can enjoy aromatherapy any time and practically anywhere so long as there is a working electrical outlet. These aromatherapy car air fresheners are ideal for freshening the car naturally without the use of chemicals found in most car diffusers today. They help keep the driver alert and focused, and are also perfect for smokers who want to clear the air in the car. It is advised to place 4-6 drops of the essential oil or essential oil blend to the pad. After the essential oil is put, it may now be placed into the diffuser and then plugged to the lighter or adapter and you are all set. This portable aromatherapy diffuser fans is silent, compact, child-safe and user-friendly. This diffuser uses a fan to blow the oils into the air. Essential oils are applied directly to disposable pads and then inserted into the machine. The fan will then blow air across the pads and send the aroma throughout the room. Being battery operated this is perfect for travelers, workers and students. Essential oil combinations with oil components from the mint family will help revitalize your senses inducing alertness and rejuvenation. This feeling is nostalgic to those who have experienced being splashed with cool water that is so refreshing! These essential oil formulas are good for shock remedy as well. 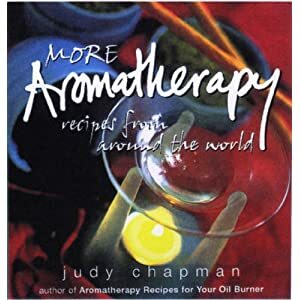 This scented oil diffuser recipe is one of many recipes in “More Aromatherapy Recipes from Around the World” by Judy Chapman. The recipe in this book aims to recreate the feeling you get when you are in certain places. Its contents are inspired by the beautiful places in this world. This is a good material with both text and images spanning from Africa’s deserts to Australia’s rainforests, from the Greek Islands to the Cuban Secret hideaways. Check out more different type of Electric Oil Diffuser. Need more recipes? Please check my Aromatherapy Blends Recipes. Each of essential oils has their therapeutic effect. Click here to find out.